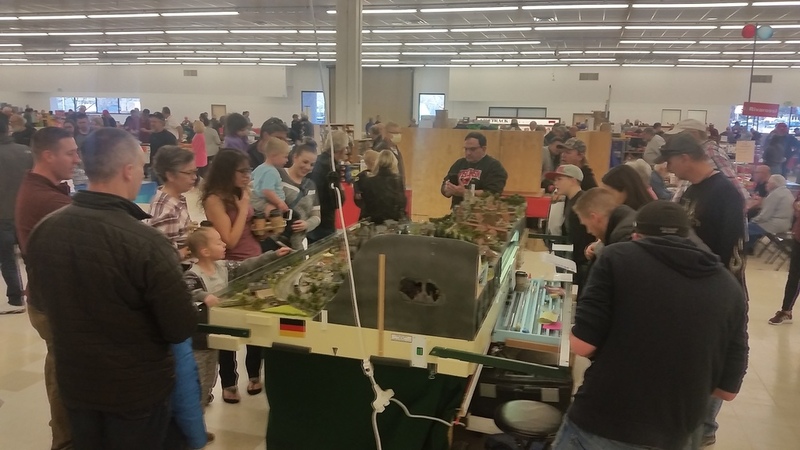 This past weekend the Great Train Show came to Colorado Springs. It was well advertised - TV and radio ads starting the Wednesday before the show. Consequently it was well attended! There were two N scale modular clubs, the local Pikes Peak Ngineers and the Denver N scale group. So N scale was properly represented! Unfortunately, I was kept busy and was unable to take pics of the other layouts. 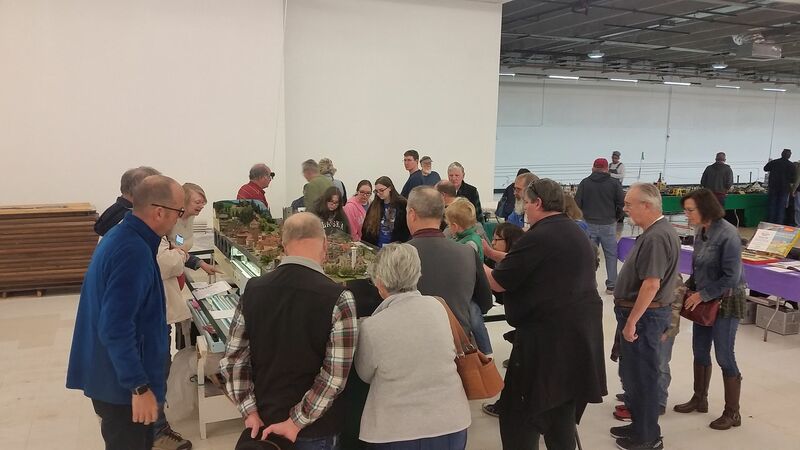 There were a lot more vendors than we usually have at the Colorado Springs shows, and many people seemed to be buying. Nice one for bringing joy to the masses. Thanks for the encouragement! My layout is more kid-friendly than most. The deck is low so little kids can see, and (inspired by MiWuLa) there are 6 buttons to push to activate scenes. Kathy comments that most layouts at shows are very unfriendly to kids: too high, too far away, don't touch anything. I understand this cautious approach. If I had a larger modular layout I would not be able to watch everywhere at once to guard against eager little hands. push the buttons. Over the duration of a show I usually only need to issue a genial caution half a dozen times. Dang - I wish I knew about the show and would have come down from Castle Pines. For those who haven't seen Gordon's layout in person, it is amazing.